It looks like some bragging rights within the Carolinas will be settled during the opening week of the 2017 college football season. Geographical rivals South Carolina and North Carolina State will square off versus one another in the 2017 Belk College Kickoff Game at Bank of America Stadium in Charlotte. "We have been in discussions with South Carolina for a couple of years and were able this past August to find a mutually acceptable season to play," said NC St. AD Debbie Yow. "Wolfpackers will be looking forward with great anticipation to this ACC-SEC matchup." 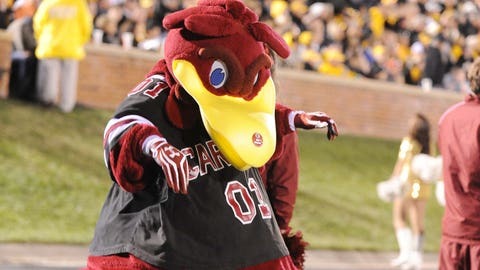 South Carolina featured in this game at the start of the 2015 season, narrowly defeating North Carolina by a score of 17-13. This contest will mark the fifty-seventh time the two programs have played each other. South Carolina holds a slim 27-26-4 advantage. It’ll look to defeat another North Carolina program for the second time in three seasons. "We look forward to a great game and a quality atmosphere for our student-athletes, coaches, staff, alumni, and fans," said South Carolina AD Ray Tanner.